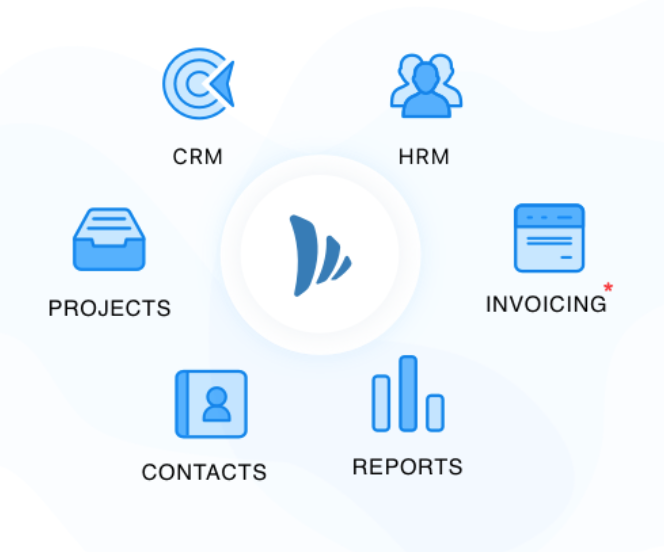 Podio’s project management software has been built for a wide range of companies – small businesses to large enterprises. While it provides building blocks to create custom apps for various business processes, critical factors like usability, learning curve and significant setup time make it “not a good fit” for small businesses. TeamWave comes with out-of-the-box solution to manage & streamline everything in your company: Project Management, CRM & HR. Why TeamWave is the leading Podio Alternative. There is no dedicated workflow to share your projects with clients to gather feedback and collaborate while delivering the project. There is a generic share project option with which you can provide access to projects. This also means you’ll have to manage all the team members of your clients. With Podio, all the tasks (deliverables) from are shown in one place. 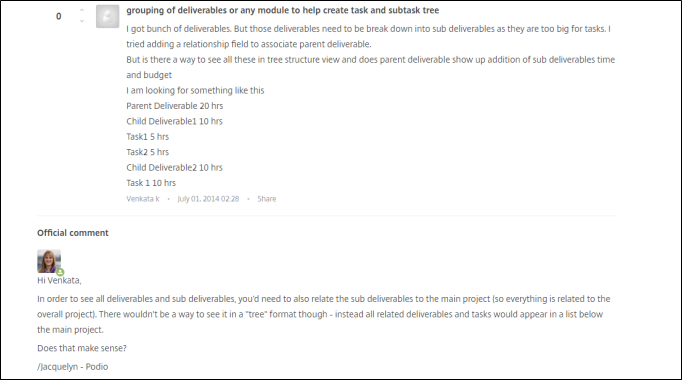 There is no way for you to group related tasks in a task group. This is useful when you’d like to break a large task into smaller tasks. You’ll have to create filters to segregate tasks as per projects and save different types of views everytime a new project is created. Although Podio offers different types of views for deals, it doesn’t offer sales pipeline view. It lacks the user-interface to provide compelete visibility of the deals across all the sales stages. As Podio’s sales management workspace doesn’t work on sales pipeline management methodology, it doesn’t let you create multiple pipelines inside “Deals” app. In case you’re selling different types of products/services, you’ll have to create multiple “deal apps” along with relevant sales stages. 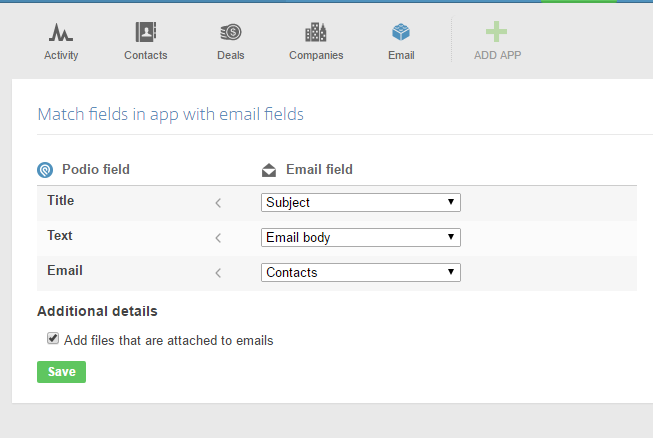 Podio requires you to add new app and map the email fields to Podio fields in case you’d like to keep a log of the email conversation you’re having with a client or prospect. But, there is no way to link the email with deals and contact persons. TeamWave offers you a dedicated CRM inbox along with a “smart emal address”. It’ll help you get a complete visibility of all the communication around your deals and contacts. 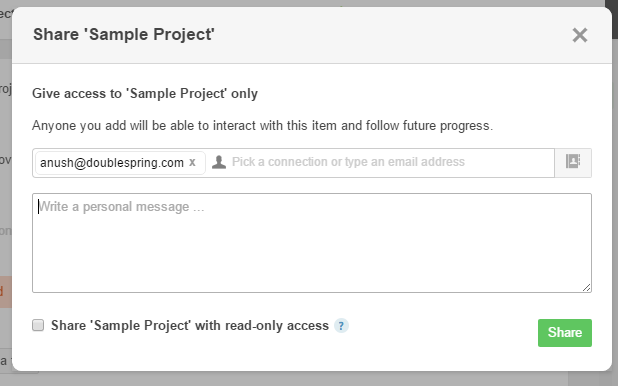 You can also automate the process of creating deals and contacts by creating rules & workflow for your email address. Simply BCC or FORWARD emails to the “smart address” and all the emails will be automatically linked to relevant deals and contacts in CRM. Podio has tiered pricing structure that starts from $7.20/user/month and goes up to $19.20/user/month with annual billing. These pricing plans restrict you from using certain features and integrations. Podio offers a lot of components (like lego bricks) to buld various custom applications. It is left to the customers to make the best out of them! While it might be suitable for large enterprises with complex workflows, it definitely falls short in case of small businesses who need simple apps that require minimal setup time and at the same time, provide powerful features.